There's been a lot of confusion over the future of the Star Trek film series this last year. With word that Tarantino was planning on making his very own film that was touted as part of the Kelvin timeline by Zachary Quinto, it appears that things are not quite as they seem in the rebooted franchise. Apparently, the plan for the next movie was going to bring back Chris Hemsworth as George Kirk. It seems the possibility for time travel was there considering the characters's death in the 2009 J.J. Abrams film. 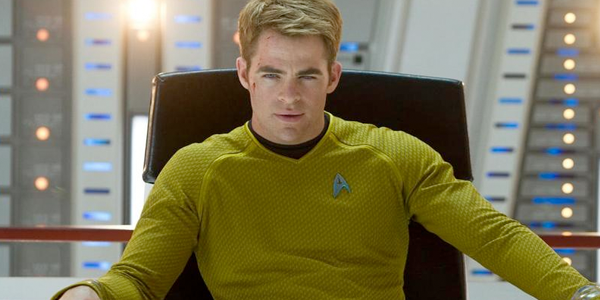 And of course, the plan was that Chris Pine would return to the role of the honorable James T. Kirk. Well, here's where things get messy. The Hollywood Reporter has released some info which might not be good news for Paramount or the series as a whole. With Pine and Hemsworth both being much bigger names with star power and financial demands now, their deal to come back just fell apart at the table. Apparently, Paramount was looking to lessen their payday considering the box office failure of Star Trek: Beyond. Neither star would agree to their offers and each actor has walked away from the table meaning Star Trek 4 might need to recast or figure out a way to make the stars happy.